The Quiltzette: New Fabric & Yarn; BERNINA Sale Starts Thursday! 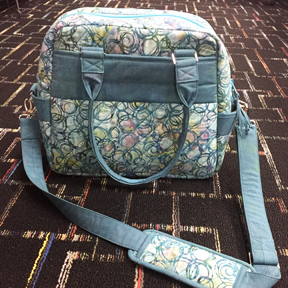 Make this quilt using a digitally printed panel and coordinating fabrics. We have everything you need for this quick project in stock. 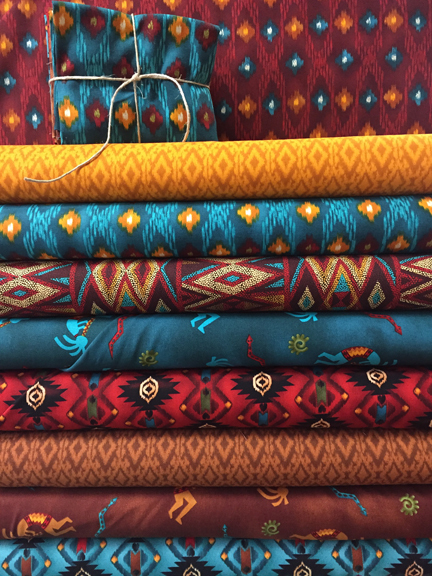 This beautiful collection of southwest fabric arrived last week. Phone orders welcome for our out of town customers. Cairns yarn from the Queensland Collection: We just received three colorways of this brightly colored cabled yarn, Kangaroo Isle, Tasmania, and Wollongong. 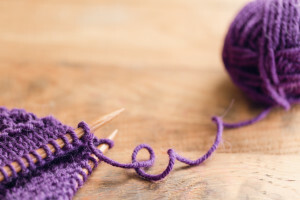 There are 190 yds in each 100gr ball, and the gauge is 18sts/4 inches on a #8 needle, or 12sts/4 inches on a J crochet hook. This 60% cotton/40% acrylic blend will make soft, summery scarves and tops, and is perfect for making baby items. Huasco yarn from Araucania: This extra-fine superwash merino yarn is perfect for socks or a brightly colored scarf or cowl. The colorway is reminiscent of a rainbow. 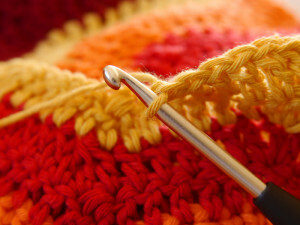 There are 454 yds in each 100gr hank, and the gauge is 30sts/4 inches on a 4 needle, or 32sts/4 inches on an E crochet hook. 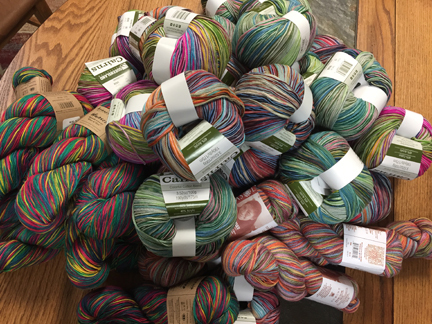 We quickly sold out of the Llama Rush colorway of the Khusku yarn from Mirasol, so we ordered more. This handpainted 40% merino wool/40% bamboo/20% nylon yarn will make wonderful socks or a soft, luxurious scarf or cowl. 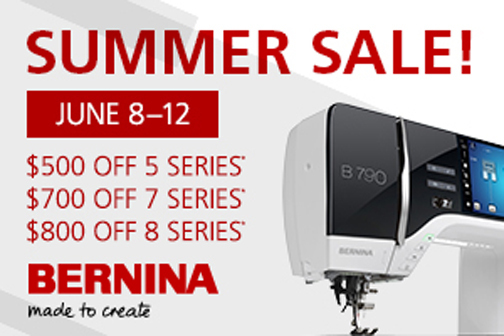 This is the best sale on BERNINA sewing machines you'll see for a while. Don't miss out! In addition to the great savings, we're offering 0% financing for 72 months on purchases over $5,000. For purchases under $5,000, choose either 18- or 48-month financing. 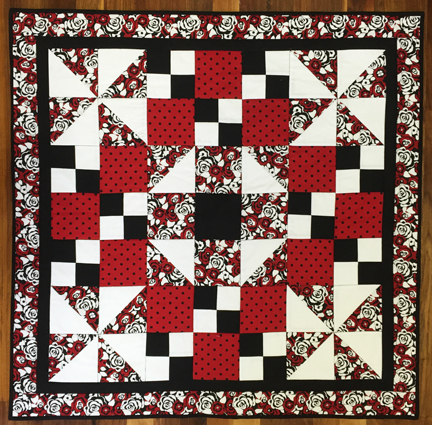 Make baby/kids quilts? Love using Cuddle on the back? it's so soft! 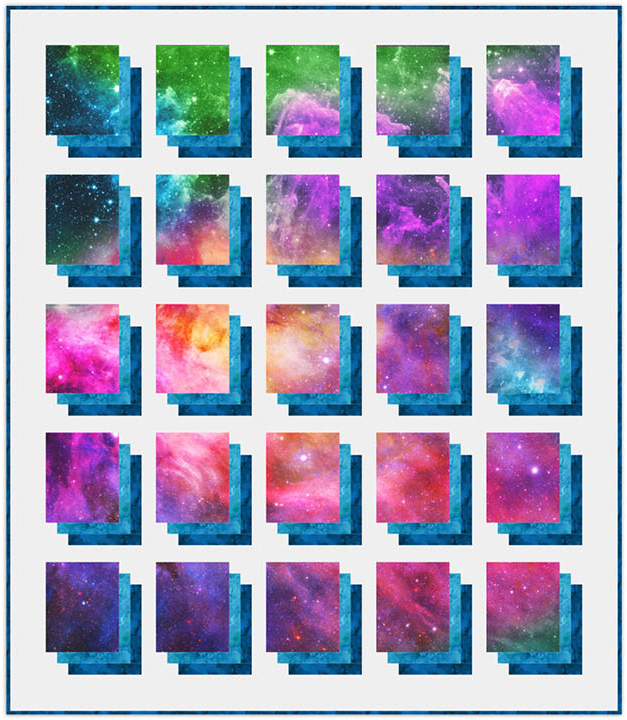 Stock up now at 30% off. We're phasing out this line and will instead stock high-quality flannel for backing for your cuddly quilts. Join us on Thursday, June 15 at 12:30 p.m. for a free demo on the MODA Cake Mix Recipe technique. 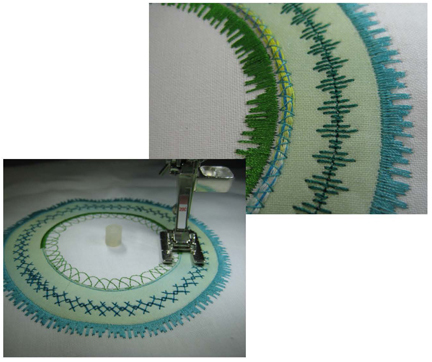 This is a fun, easy, creative way to make a quilt in record time. 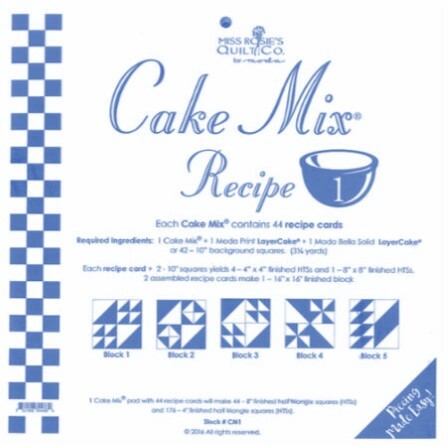 Then, be sure to join us again on Friday, July 7 for a Cake Mix sewing day. Get the details on that here. 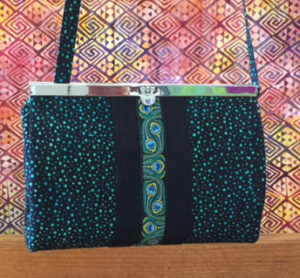 This week only take 20% off all purse, tote bag, and wallet patterns. In addition, take 20% off the hardware needed for the patterns you choose. Offer expires on Saturday, June 10 at 6 p.m. Limited to stock on hand. You must mention that you saw this offer in the Quiltzette to receive the discount.